The pharmacy world has seen, and will continue to see, many advancements that will affect the industry and the way a pharmacy conducts its business. Now, a new research centre at the University of Huddersfield, will strive to ensure the industry is armed with the latest research methods and advice on policy and best practice. 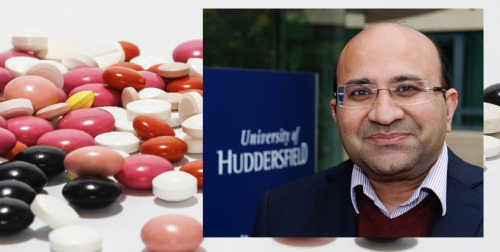 Headed by Professor of Medicines and Healthcare Zaheer Babar, the Centre for Pharmaceutical Policy and Practice Research, in the School of Applied Sciences, comprises members from the University’s Pharmacy department as well as industry professionals. Undertaking collaborative research, the team will explore the access and affordability of medicines, medicines utilisation, and pricing, economic evaluation of pharmacy services, as well as health services and pharmacy practice research in low, middle and high-income countries. Four PhD students complete the team with further opportunities available for postgraduate students who wish to undertake in a PhD or MSc by Research. “Our research staff are creative and innovative practitioners who have wide industrial and research experience,” said Professor Babar. Defining the Centre’s overall objectives, Professor Babar said they will endeavour to establish and strengthen links to drive collaboration and generate evidence to influence policy and practice for the benefit of patients and the profession. “There will also be a supportive environment and inclusive culture in which to facilitate opportunities for excellence in pharmacy practice research,” he added. The Centre recently caught the eye of the industry publication the Pharmaceutical Journal who asked Professor Babar to submit a piece about the new facility and its remit. Future activities by the Centre will include planning a writing retreat for 2018 and a one-day pharmacy practice research symposium in the summer of 2019 with details appearing on its website in the near future.